When autumn comes around, you may not need to use your AC system as often to cool your house down from the summer heat. However, you should be prepared to crank the heater to stay warm when the temperature outside starts to drop during winter. Since you will not be using the system as much during the fall, now is a good time to look into some fall HVAC maintenance tips. Filters get dirty after a few months of use. They may wear down even sooner if you have a pet that has dander and fur getting into the system. When fall comes around, inspect your AC’s filter to see how dirty it is. Put a clean one in there. Most HVAC systems are designed to last around 10 years. If yours is getting up there in age, then it might be time to get a new AC and heater installed. In the event you do decide to get a new one, look into getting more energy efficient models. Many thermostats allow you to preprogram the settings. This allows you to shut down the system when no one is home. This action is highly recommended because if you have your heater blasting all day while everyone is gone at work, then you will be wasting a lot of money on power bills. 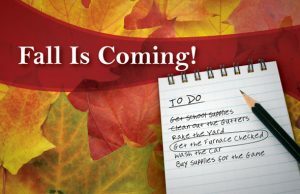 Fall is a great time to contact an HVAC specialist. Professionals can come out to your home and check out your system. They will be able to recommend any maintenance tips. They can also replace old parts if something inside has broken down. 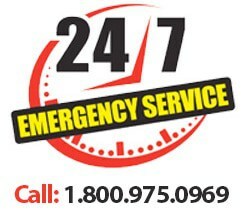 You do not want to wait until your heater actually breaks during the winter to do some maintenance. Fall is a much more manageable time to be without your HVAC unit for a little bit. All you need to do is follow these fall HVAC maintenance tips, and you will be in good shape.